There are currently wide gaps in the available data on youth employment in Africa. In recent years, good data has become increasingly available. The 2012 African Economic Outlook, focused on “Promoting Youth Employment,” includes data on both unemployment and vulnerable employment and provides statistics disaggregated by age, gender, and education-level, as well as by country income group. Vulnerable employment refers to those who are employed under precarious circumstances as indicated by the status in employment and/or the numbers of hours worked. There are currently wide gaps in the available data on youth employment in Africa. The International Labour Organization (ILO) has reported increasingly complete country-level data. But there are still significant gaps. On the national level, the extent and frequency of data collection efforts varies significantly, undermined by low levels of statistical capacity. Where data is available, it is often not sufficiently comprehensive: measuring youth unemployment, but not vulnerable employment, for example. On the regional and continent-level, comparing across countries or aggregating data is made difficult by the lack of common definitions: the youth age bracket differs by country, as do definitions of what constitutes unemployment. This gap limits successful solutions to the youth employment challenge. Among the many aspects of the youth employment challenge, the lack of good data has received comparably little attention. But poor data is a significant problem, contributing to an oversimplified picture that decreases the likelihood of sufficiently nuanced solutions. For a straightforward example: low rates of unemployment in a particular country often mask high rates of vulnerable employment, itself associated with employment in the informal sector, as well as with incomes that are lower and more volatile. This gap limits successful solutions to the youth employment challenge. If there is data on unemployment but not on vulnerable employment, those active in the space focus on the former at the expense of the latter. Proposed solutions are skewed toward increasing formal job creation as opposed to addressing the challenges of informality, thus disadvantaging large numbers of youth. As this example shows, there is in fact a need not just for more data, but to think critically about what data is needed and how it can be put to use. The problem of missing data means a need for greater investment and support to statistical capacity building. The problem of missing data means a need for greater investment and support to statistical capacity building. 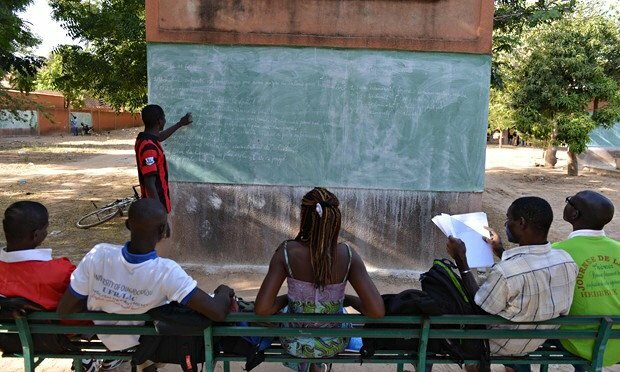 While not typically considered among the most promising solutions to the youth employment challenge, ongoing efforts by the African Development Bank and ILO, among others, to provide financial and technical assistance to national bureaus of labor have the potential to amplify the impact of other interventions and should be expanded. This proposal is aligned with broader trends: the fact that many of the recently announced indicators for the Sustainable Development Goals currently lack good data behind them will hopefully elevate data collection to the forefront of the development agenda in the coming decade. The search for better data must also infuse program design. The search for better data must also infuse program design. Statistical capacity building efforts are crucial, but they take time. This means a need for better data collection at the level of individual interventions. Across youth employment interventions, data is insufficiently addressed: too few baselines are established, and monitoring and evaluation are often thrown around as buzzwords instead of being supported by realistic plans for how indicators will be tracked and analyzed. Of course, meaningful monitoring and evaluation depends on a lot more than data, but data is a start, and the lack of it can doom the most well-planned impact evaluation. And while the need for data applies to much more than the youth employment challenge, the multiplicity of actors in this space and the wide range of interventions being implemented on the national, regional, and continent-wide levels is a prime opportunity for data generation, not just about employment, but about a range of related development issues. Better data collection concerns everyone. Better data collection concerns everyone. Obtaining good data must be a top down initiative – supported by institutions who commit to funding it and governments with political will for capacity building in this area. But better data also depends on those designing programs incorporating data collection into program design, on those implementing programs carrying out these plans effectively, and, perhaps most crucial but least often done, on those whom interventions seek to target – the youth themselves – being engaged in shaping the discourse on what data meaningfully represents the challenges they face. This is not to say that data is everything. This is not to say that data is everything. Data is important only in so far as it helps to build a nuanced picture of the reality of youth employment in Africa today while recognizing that it only represents one way of understanding that reality. But in a context in which understandings of the issue at hand are often rooted in numbers, and where numbers are affecting the scope and nature of interventions, we need to invest in thinking about what numbers we care about and how to get them. Talya Lockman-Fine is a consultant with Dalberg Global Development Advisors, working in the Dakar office. Her interests include capacity development, including for government institutions, and social and legal services for asylum-seekers and refugees.